Building a new home from scratch is a real opportunity to get creative and have everything you have always dreamed of. The option to build around your families requirements whilst using the latest technologies and environmental strategies is something highly valued by many, and rightly so. Building a home which integrates the latest environmental techniques whilst not compromising on comfort is the best starting point. Although the initial outlay for the building may be higher, in the long term building environmentally aware structures saves the home owner money. As the saying often goes, “you have to spend money to make money”. Another measurable feature of sustainable building is that year round comfort is maximised by good design. Through passive solar gain, passive cooling, good orientation and other considerations, the home can lose heat during summer and gain useful heat during winter effectively; making the internal temperature comfortable throughout the year. These two benefits are directly measurable, mainly through your bank balance, and can dramatically improve living comfort. What is perhaps less measurable when building a ‘Green’ home, is the impact home building has in the environment. For example, the distance building materials have travelled impacts on the carbon footprint of the home. Sourcing locally produced materials makes the energy used to build less, so two identical properties can actually have different environmental impacts depending on their location from the materials supplied. The following gives a brief tour of the guidelines from the Housing Industry Association for assessing a GreenSmart home. These guidelines are publicly available, so any builder is technically able to follow the documentation, but be aware that builders are able to become accredited by the association, proving they understand and support the scheme. If you’re thinking of building a new home, especially in the Cannon Valley area, then talk to Allenbuild – your local builder who values sustainability. The guidelines are segregated into eight categories which cover the main elements of home building. Energy management focuses on designing the home for maximum energy efficiency, this includes everything from how the building is positioned to the proportion of lighting which must have a high efficiency rating. Orientate the home to take advantage of natural lighting and passive solar gain. Design the home to limit solar gain throughout summer and minimise heat loss during winter. This can be done by focusing on different features such as glazing, making windows which are orientated for high solar gain (winter) large, and vice versa. Orientate the home to maximise the use of any prevailing breeze, using natural resources for ventilation. When thinking about uses for rooms, design around different activity zones. This limits areas that require heating as all areas used at the same time of the day are grouped together. Rather than having lots of open spaces which require constant heating, section off parts of the home so only areas which need to be heated at the same time, are. The movement of air between flooring, doors and windows must be reduced through design and building practices. The hot water system must have at least a five star energy rating. 80% (or more) of lighting must be of an energy saving design. It is important that all those living in the home are educated regarding the use of all energy saving features. Cannon Vale Builders like Allenbuild understand the need to manage energy and can help you through the sustainability minefield. Designing for water management is largely down to the choice of fixtures and fittings. All bathroom fixtures must achieve a minimum of 4 star Wells certification for their water consumption, with the exception of showers which must achieve three stars. Fit the home with an alternative source of water. Employ techniques which reduce swimming pool water evaporation is applicable. Designing the plumbing system to allow water recycling should be done where appropriate. Managing our natural resources effectively doesn’t need to be an issue, talk to the Cannon Valley builder and discuss the latest water management techniques. Managing the internal air quality negates the requirement for air conditioning to eliminate odours. Design the home to take advantages of any natural breezes which can be used for ventilation. Ventilate the roof space to prevent the presence of mould and moisture. Use finishes which have low V.O.C content. Making use of passive ventilation can protect the home from damp and keep the internal air fresh, if an experienced Cannon Vale Builder is required for your new home build, talk to Allenbuild. Selecting materials for low environmental impact is an important consideration when building a GreenSmart home. Use materials which can be recycled should the building need to be demolished in the future. Avoid damage by installing insect barriers and materials resistant to pests. Termites and other pests cause thousands of dollars of damage to Queensland homes every year. If you need more information about protecting your investment, talk to Allenbuild, the Cannon Valley builder with the answers. Universal design aims to meet the needs of all occupants of the building, present and future. This minimises the need for extensive redevelopment in the future. A main entrance, from the pavement to a doorway must be continuous and at least one metre in width. One or more entrances to the property must be at ground level. Design the bathroom for easy installation of accessibility features should they be required in the future (grab rails etc.). Design the walk-ways so access to the bathroom is easy regardless of the physical health of the occupant. All internal doors must be wide enough to accommodate all present and future occupants. For external parking, ensure the area can comfortable fit a large vehicle with room to access all doors. Install a toilet at ground level. Designing a home to suit everyone doesn’t mean it can’t perfectly suit you too, talk to Allenbuild, the Cannon Vale Builder who knows how to combine the two. During the construction phase minimising the damage to the surrounding landscape should be a prime consideration. Disturb the natural landscape as little as possible and minimise sediment run off. Any material which is exposed for an extended period during construction should be carefully stockpiled to minimise it escaping the site. Do not let any waste material accidentally escape the site. Use a single access point for all machinery. Avoid flooding or pooling by directing all excess water along drainage lines. Having a Cannon Valley builder who has a respect for the environment is a great way to easily fullfill the landscaping requirements; contact Allenbuild to discuss your project. 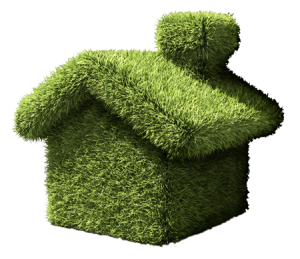 To have an accredited GreenSmart home, minimising waste and managing all necessary waste is important. Collect all waste, store it and manage it to prevent any over-flow or illegal dumping. Recycle all material wherever possible. Minimise over ordering materials with accurate ordering. Use prefabricated parts to minimise waste. If you want to live in a home which provides cutting edge sustainable technologies and building practices talk to Allenbuild, the Cannon Vale Builder who puts the environment first.